For the proper execution of import or export of process definitions you need to configure the synchronization of the Developer Studio with the RunaWFE server. 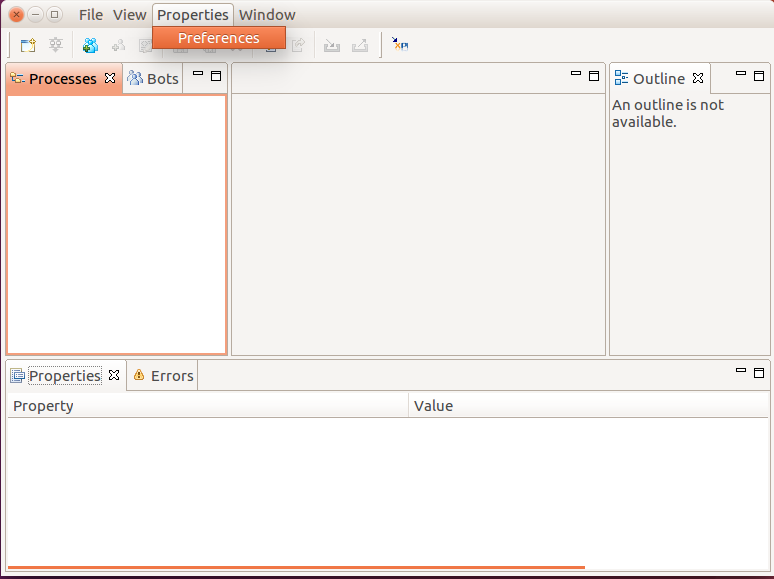 Enter the preferences menu of the Developer Studio - “Properties” → “Preferences”. Go to “RunaWFE Server” menu. 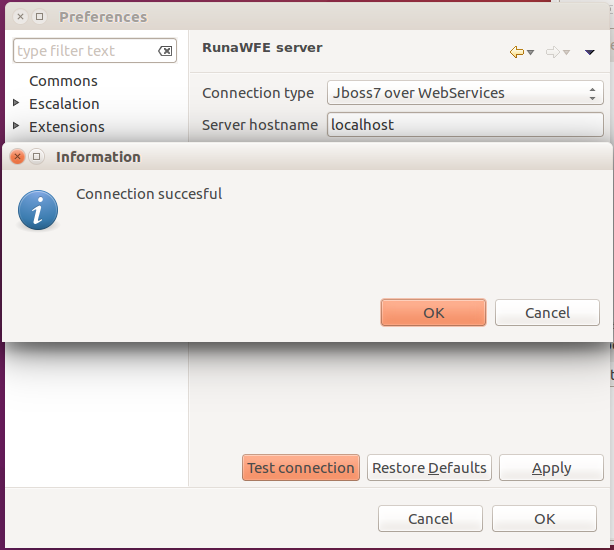 Connection – the Jboss version RunaWFE Server is deployed on. 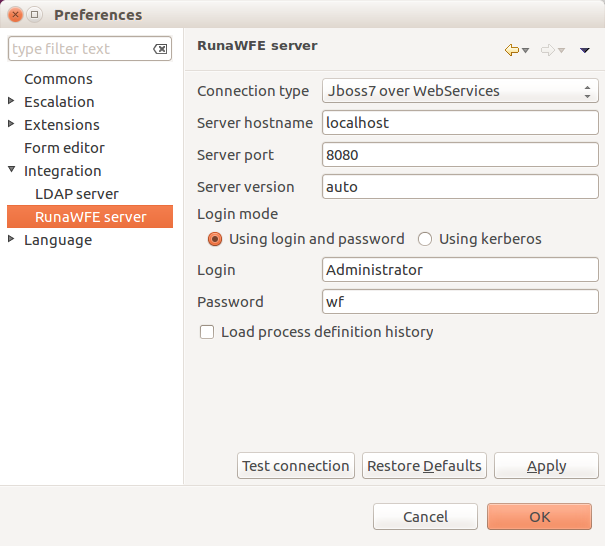 Server hostname and server port – RunaWFE Server address. Server version – the “auto” value is used for automatic definition of the Server version. Login mode – using login and password or using Kerberos protocol. “Load process definition history” - this option enables the import of all the versions of a process definition there are on the RunaWFE Server to the Developer Studio. On default this option is disabled. After entering the parameters test the connection by means of the corresponding button. If the connection is successful, the message “Connection successful” will be displayed. Otherwise the message “Connection failed” would be displayed, if you press the “Details” button, you can find out what the problem is. 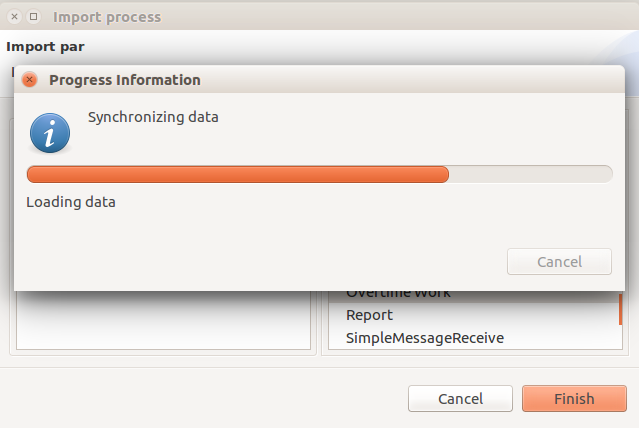 To import a process definition from the RunaWFE Server use the “File” menu, then “Import Process”. 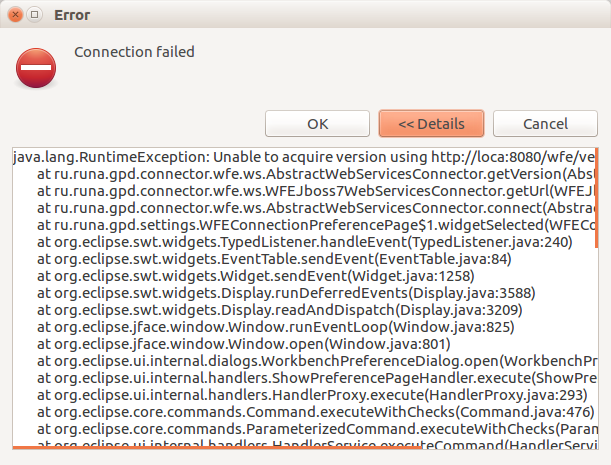 Choose the “Import from WFE server” option. There is a specific feature of the import execution: when you call on this operation for the first time, a synchronization will be done automatically, you will see the progress information window showing how data are being loaded from the WFE Server. Later (before rebooting the Developer Studio) to update the list of process definitions available for import, you should do the synchronization manually by means of the corresponding option. If the option “Load process definition history” is enabled in the synchronization settings (which you can open right here by means of “Connection settings”), then the previous versions available on the WFE Server would also appear in the list of definitions. To import the latest version highlight the element with the name of the imported process, to import the previous version highlight the corresponding element in the “Previous versions” section. 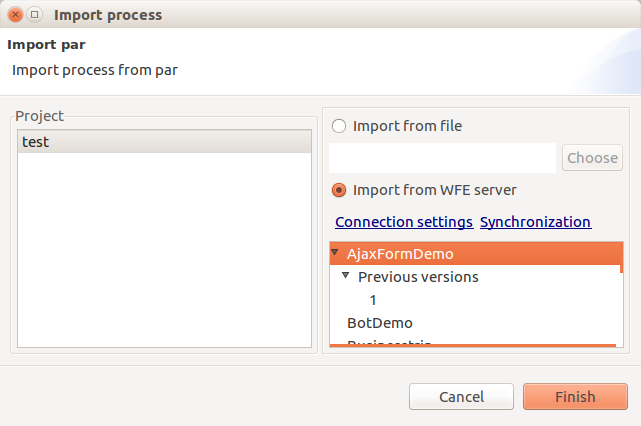 For example, in the following screenshot you can see that there are two versions of the AjaxFormDemo business-process available for import – one main and one previous. 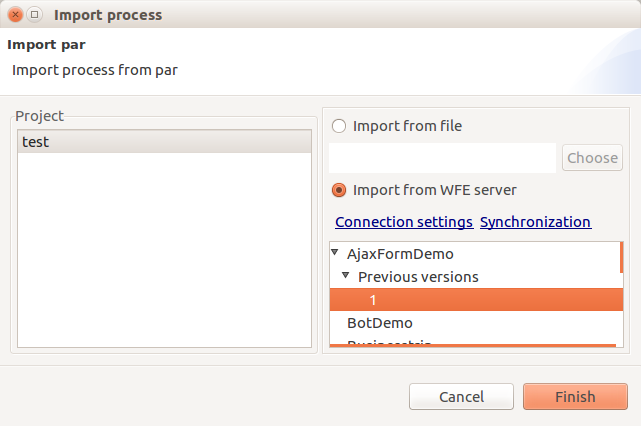 To export a process definition to the WFE Server use the “File” menu, then “Export process”. Besides, you can use “Export process” option of a context menu opened on a process in the project explorer. If a project with the same name already exists on the Server, a new version of it would be exported.